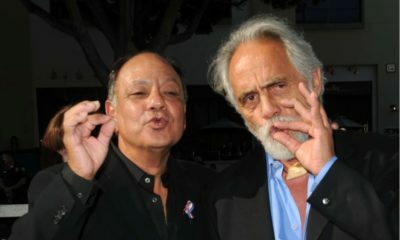 When Tom Forcade launched High Times in 1974, one of the insiders he invited to the kick-off press party at the Fifth Avenue Hotel was Bob Lemmo. As editor of The Express, a weekly published on nearby Long Island, Lemmo was active in the Underground Press Syndicate, which Forcade ran. Before the year was over, Forcade hired Bob Lemmo as News Editor starting with Issue 3. He was brought in to help develop Highwitness News, the first news section entirely focused on marijuana, hashish and other recreational drugs. Robert Lemmo died August 9 at the age of 64. He is survived by his wife Penny, who he met when she also worked at High Times, where she was known as Penny Layne. They became the first of many High Times staff marriages. A High Times editor for five years, Lemmo wrote features in addition to news coverage. He was executive editor and one of the writers of the High Times Encyclopedia of Recreational Drugs, which became a national best-seller in 1978. He wrote three chapters. Bob Lemmo wrote the cover story about the psychotropic powers of chocolate for Issue #6 of High Times. The cover caused many double-takes on newsstands, with its hidden-in-plain-sight naked breast. Ed Dwyer, the first editor of High Times, remembers when Lemmo later shared an office with the magazine’s “sordid affairs editor,” Dean Latimer. Unfortunately this story has a sad ending. Bob and Penny Lemmo have had multiple medical catastrophes in recent decades. Some old High Times staff members and other have begun a fundraiser. For information on how to pay tribute to one of the originals in the cannabis movement, please click HERE to help a tragic situation. Colorado growers and dispensary owners, American Cannabis Partners, are also helping promote this cause.